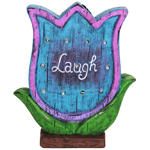 Add some light-hearted marquee decor to your outdoor patio and garden. 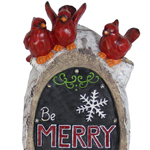 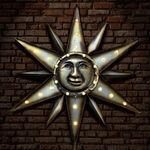 Adorable sign like marquee statues that bring a touch of glowing light when the sun goes down! 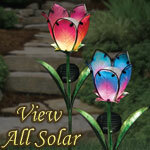 Solar panels illuminate up to 12 embedded LEDs that turn on automatically at dusk. 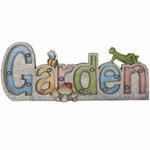 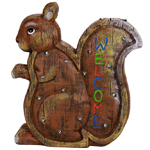 Fun saying like Laugh, Home, Welcome and Love are wonderful to share with all your outdoor garden guests. 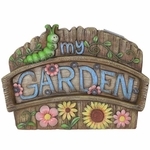 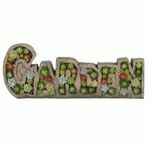 A perfect addition to any garden bed or outdoor table!